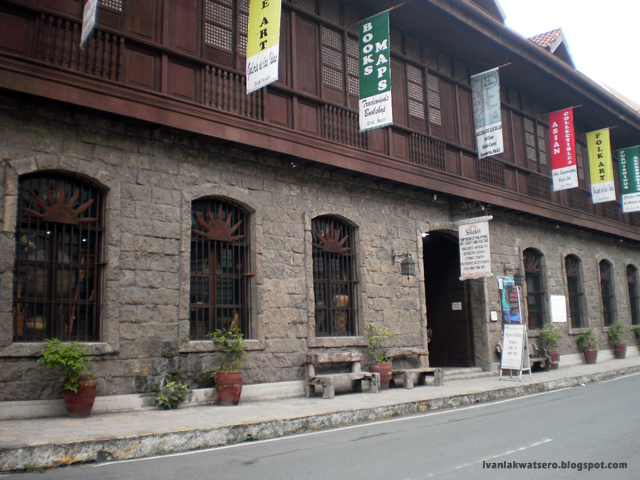 The Old Manila that was Intramuros was not only the economic and military center of the Spanish Empire in the far east. It was also the bastion of its strong Christian Faith. 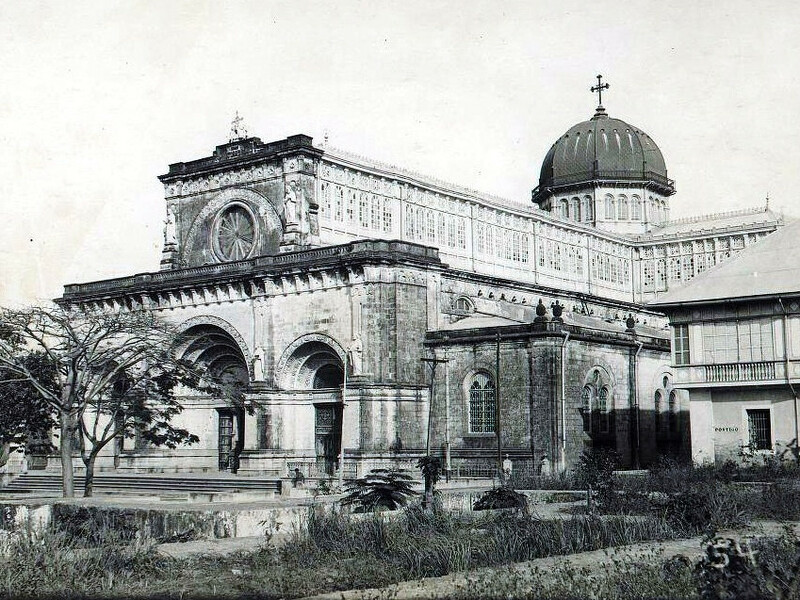 There used to stand, within the walls of Intramuros, seven houses of God, all built with architectural magnificence. I've been always dreaming that one day, all the other 5 churches of Intramuros would rise again from the rubble. If you will visit the walled city right now, you'll notice that only 2 of the original 7 churches managed to endure the test of time. Ask me what happened to the other 5 and I will answer you with a deep regretful sigh. What happened after the war was that our government focused on building new establishments over the rubble of the past glorious city, a mistake that put Manila's former beauty into a chaotic bustling city. Forever I will be unhappy that our post-war government chose development rather than restoration. What remained from the Seven Churches of Intramuros are the San Agustin Church (the only building left standing after the Liberation of Manila in 1945; listed as a UNESCO World Heritage Site) and the Manila Cathedral (rebuilt from 1953-1958). The other five no longer exist within the walls of Intramuros, the San Ignacio Church was left in ruins until now and the other 4 have new establishments built on their site. The ecclesiastical seat of the Archdiocese of Manila. Catastrophic events such as fire, earthquake and war have caused this structure to be reconstructed eight times on the same site (the last was completed in 1958 after its total destruction by the Liberation of Manila in 1945). 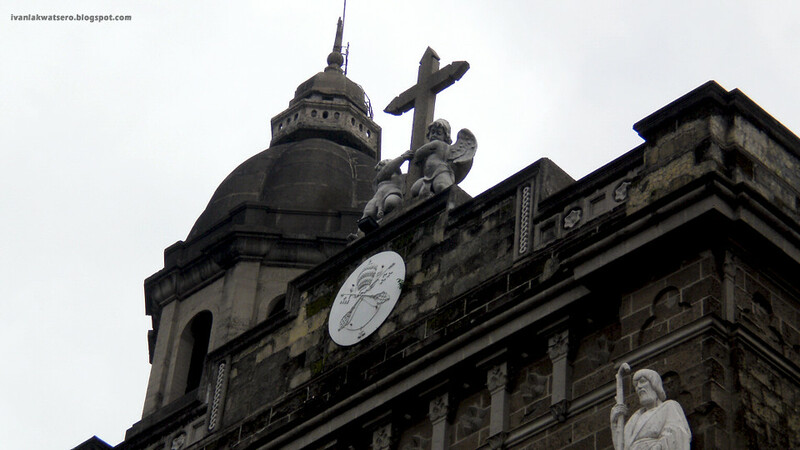 The cross on its central dome was the zero kilometer reference point for all locations in the Philippines during the Spanish era (the reference point is now located at the Independence flagpole in Rizal Park). On its crypt lies the remains of former Archbishops of Manila including Cardinal Santos and Cardinal Sin. Built by the Augustinians from 1587 and completed in 1604, it is considered to be the oldest stone church in the Philippines. 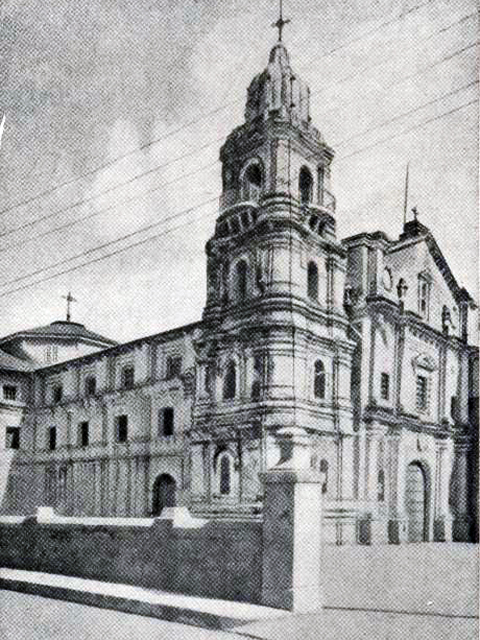 Nothing remained standing inside the walled city except the Church of San Agustin after the Liberation of Manila in 1945. The church was spared from the bombings because it's bell tower was marked with a Red Cross (in times of war, attacking any building/establishment/vehicle that carries an emblem of Red Cross is a great war crime). 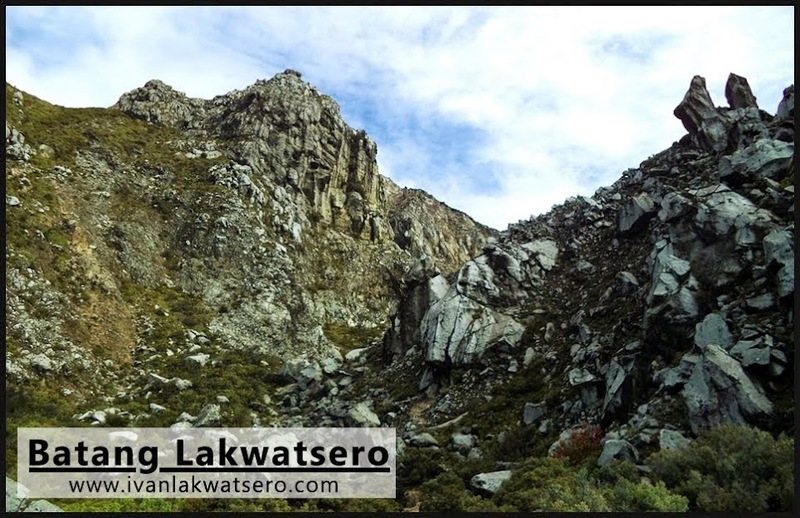 In 1994, it was declared a UNESCO World Heritage Site. 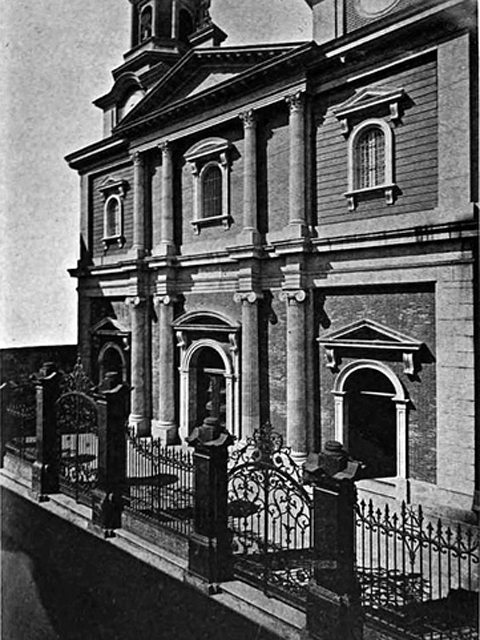 The church (Neo-classical in style with two towers) was built by the Jesuits in 1889. The famous Filipino sculptor Isabelo Tampingco and his students worked on the lavish woodwork on its interior. However, it was greatly destroyed during the war and was left in ruins to date. At one time it became the E.J. Neil warehouse. 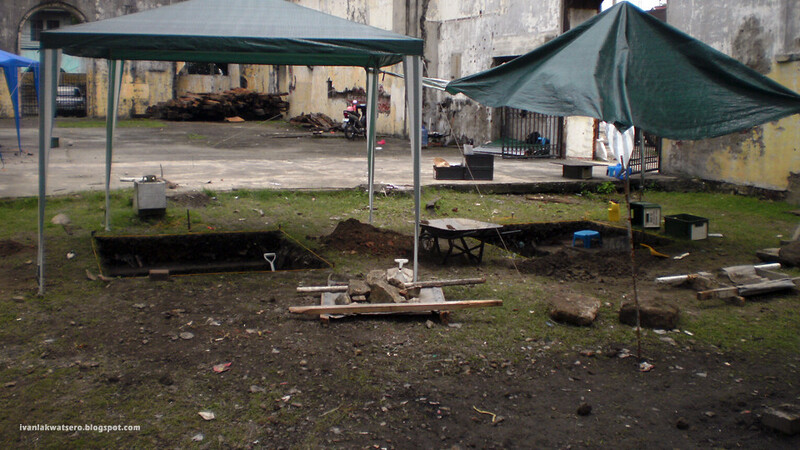 Currently, there is an archaeological excavation at the site of its ruins, it is said that San Ignacio Church will be the future site of Museo de Intramuros that will house the religious collection of Intramuros Admin. House of the Franciscan Capuchin friars built in 1891. It houses the allegedly miraculous statue of the Our Lady of Lourdes, carved by Manuel Flores in 1892. 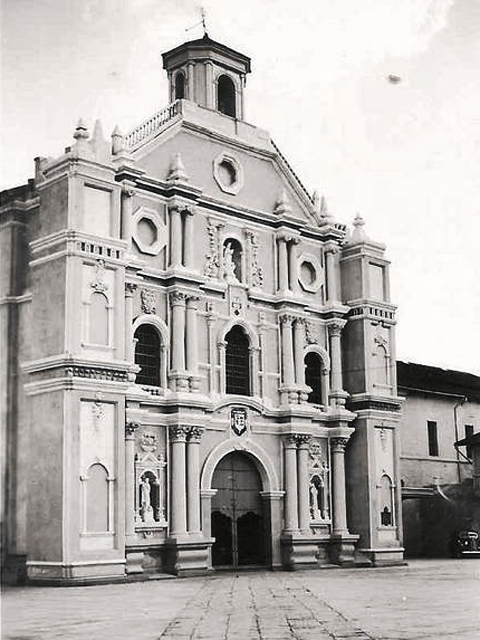 The war also destroyed the church in 1945, forcing the Capuchins to move to its current location in Retiro, Quezon City. This site is now occupied by El Amanecer compound where the Ilustrado Restaurant and Silahis antique shop is located. The church that was famous for its four-story bell tower and its magnificent interior. Was built several times from 1619 (the last was built in 1782). It was in this church that Father Diego Cera, the man behind the construction of the Las Piñas Bamboo Organ, started making organs made of bamboos. The Recollect friars moved to San Sebastian Church in Quiapo after the war severely destroyed their church in Intramuros. 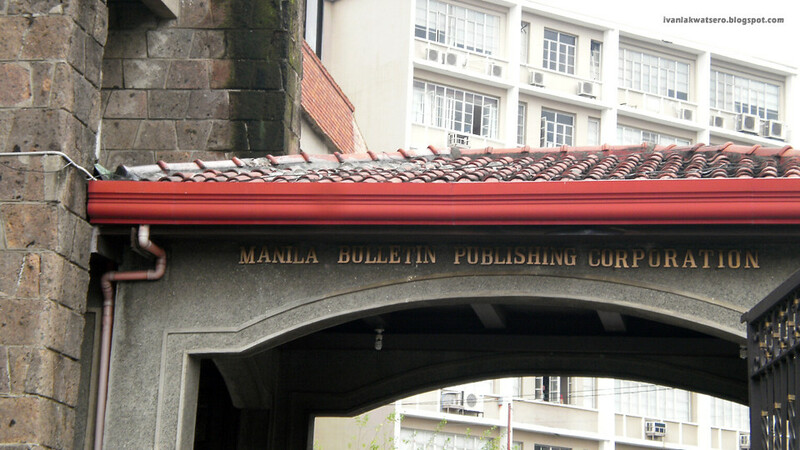 Manilla Bulletin now occupies the site. The church of the Franciscan Order (second to arrive in the country) first built in 1578. It was burned down in 1583 so a new stone church was built in 1602. The earthquake of 1645 destroyed again the church. The third church was built in 1738. It then had a retablo-like facade decorated with collumns, statues and niches. It remained in ruins after its destruction during the war. 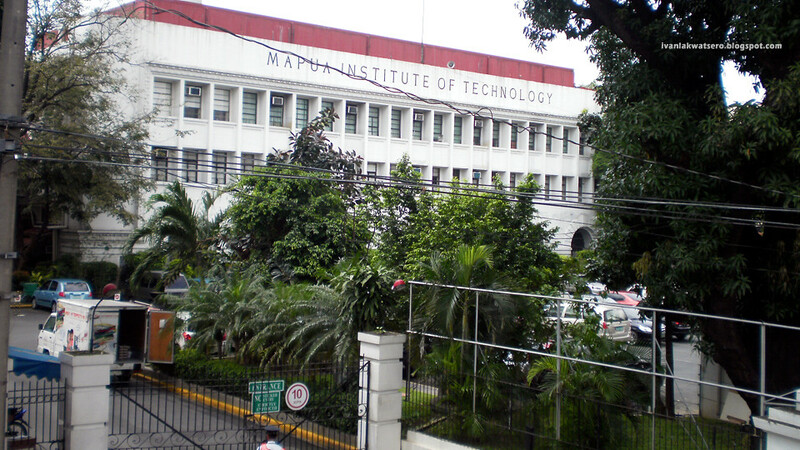 Mapua Institute of Technology rose from its rubble. 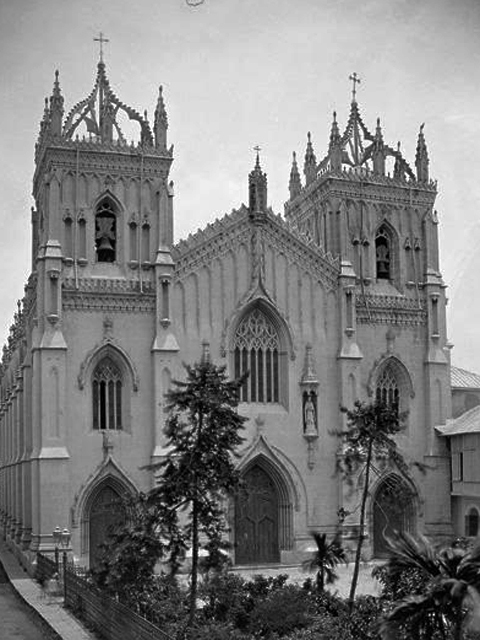 The Dominicans built five churches on the same site, the last (built in 1868) was designed by Felix Roxas Sr. in Neo-Gothic style. 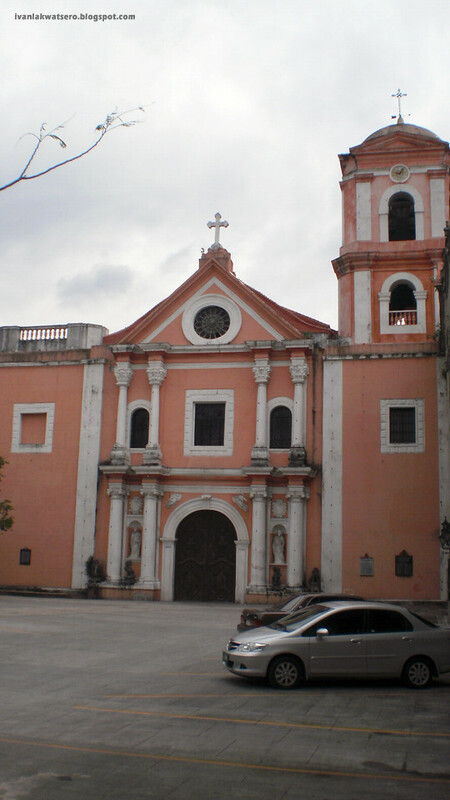 The church was famous for its ivory image of Our Lady of the Most Holy Rosary (Nuestra Señora del Santisimo Rosario) also known as the Virgin of La Naval. It is believed that the Virgin Mary brought victory to Spanish fleet over the invading Dutch, hence the feast of La Naval is celebrated annually every 7th of October. 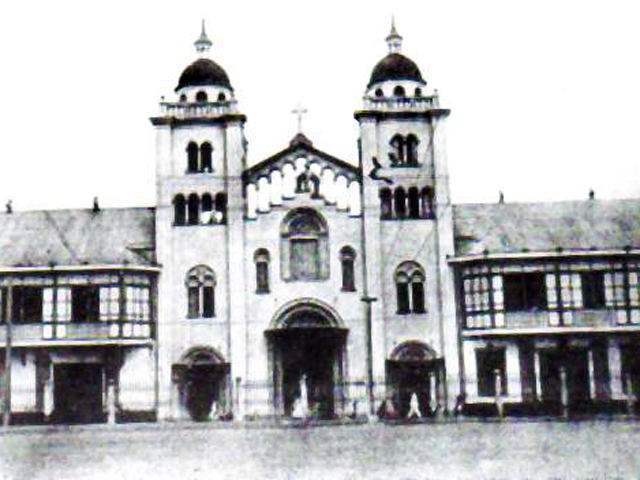 When the Japs burned down the church in 1941, the Dominicans moved to its current site in Quezon City. 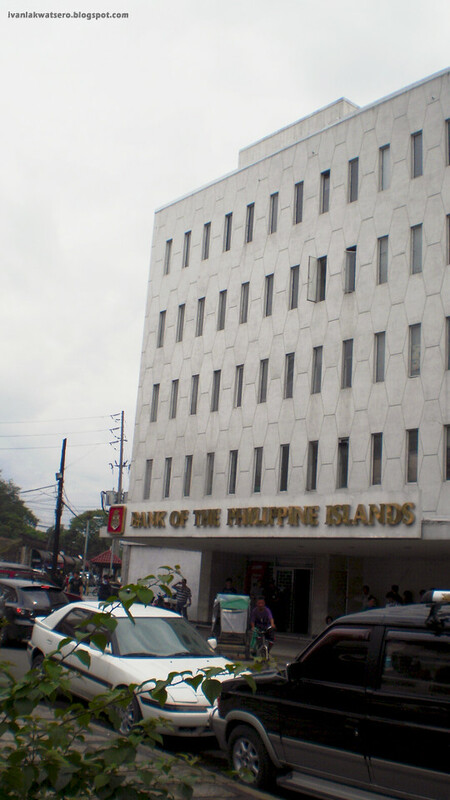 The site is now occupied by the Bank of the Philippines Islands. nasisira ang ganda ng mga churches sa sandamukal na establishments na walang kwenta. Ganda ng mga old churches natin. Bakit naman kasi di naaappreciate ng local government, puro earnings ang nakikita! Kakaasar! Kaya nga. Sayang nasira ng mga gungong na mga Hapon. ganda ng mga simbahan diyan. exterior i like manila cathedral and interior i go for san agustin. Sayang ang mga old churches natin. Thanks for this compilation, Ivan! Ian, bravo! I really appreciate how you do your research and share history with us , your readers. Wag ka magsawa. This is your niche. 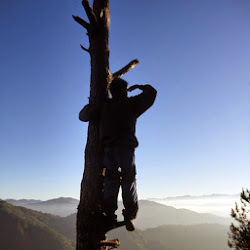 I always look forward to your blogs, to enjoy reading it as well as learn from it. I will post this link on my page to share with my friends. Oh, btw, maski hindi na ibalik/ipabomba, ok na rin. I just want the Intramuros Administration to finish their job (San Ignacio, cleaning up, more directional signs, etc). Maski yun lang. One "perfect tourist site" for visitors. And then all Pinoys shd be educated via school, via TV, via newspapers, via text messages, via FB etc so each Pinoy knows how to show tourists around! Hindi malls and beaches lang. Gosh Ivan, kudos to your well researched post! Idol na kitaaa! Thanks for the virtual tour and informative info (again) Ivan, nice work! sir great work!! High School ko lang nagustuhan ang History, pero I must say nakakabilib ka!! i totally agree. 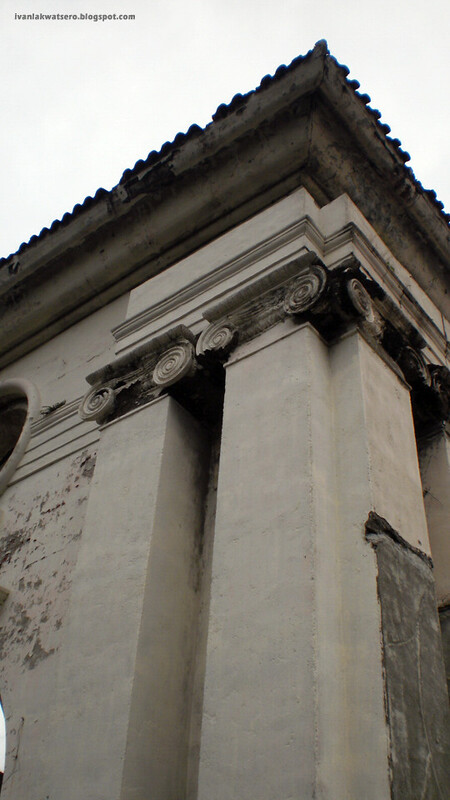 old churches in intramuros should be fully restored. it is only then that the old walled city will be back on its feet in all its glory. btw, the BPI building is such an ugly replacement for such a grand church. 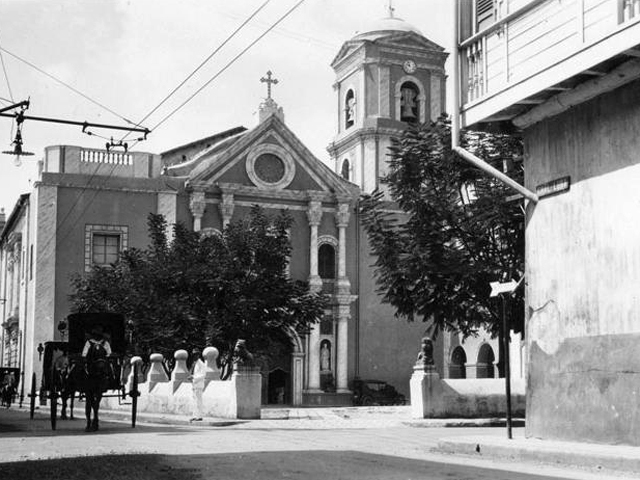 I never knew there used to be seven churches in Intramuros. Thank you for this, Sir Ivan. It breaks my heart to see them in pictures only. If these churches have been restored, Intramuros will be welling up with tourists like in Europe, where Old Towns especially the castles and churches are major tourist attractions. And Now i Know ..!! Thanks for providing this list of beautiful churches in Manila. I would like to share these churches in manila for wedding, some of the churches on your list are here too! Nanghihinayang ako sobra.. Ang ganda ng manila before the war.